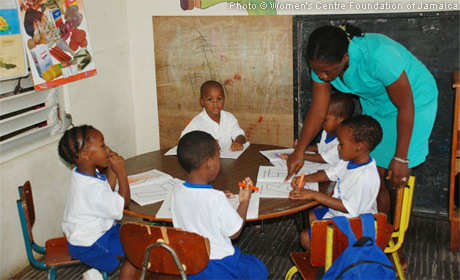 UNFPA’s Sub-Regional Office for the Caribbean, located in Jamaica, covers 22 countries and territories: Anguilla, Antigua and Barbuda, Aruba, the Bahamas, Barbados, Belize, Bermuda, British Virgin Islands, Cayman Islands, Curaçao, Dominica, Grenada, Guyana, Jamaica, Montserrat, Saint Kitts and Nevis, Saint Lucia, Sint Maarten, Saint Vincent and the Grenadines, Suriname, Trinidad and Tobago, and Turks and Caicos Islands. UNFPA works to improve the reproductive health of the most vulnerable, including responding to the high numbers of unintended pregnancies and gaps in maternal health. PORT LOKO, Sierra Leone – Fatmata Sesay was 15 years old when she became pregnant.